Murder of indigenous activists in Honduras has prompted the UN Special Rapporteur on Indigenous Peoples, Victoria Tauli-Corpuz*, to issue a warning about state-sponsored ethnic cleansing there, where, since 2010, 44 indigenous activists have been killed to facilitate free market development. Unfortunately, Corpuz fails to mention the US role in this atrocity. Having supported the 2009 coup, President Obama made sure the new Honduran government had the ways and means to terrorize activists and journalists. 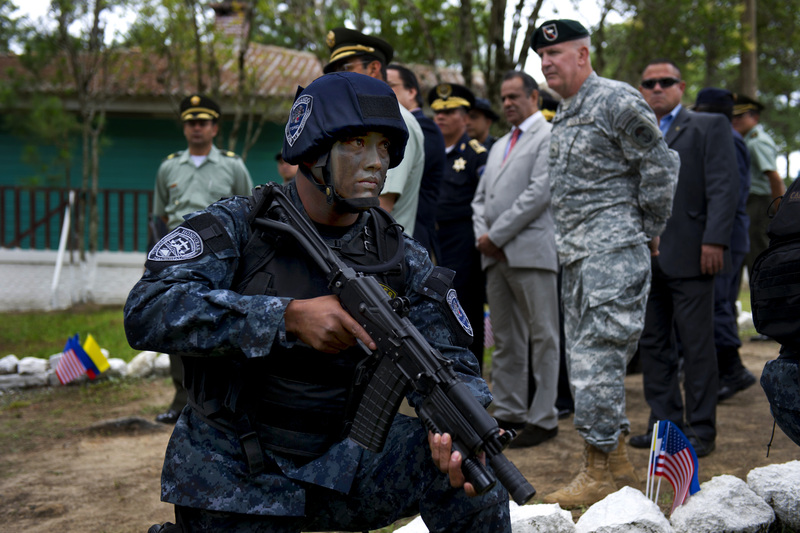 War on the Poor in Honduras by Dawn Paley exposes the U.S. role in remilitarizing Central America. Taking a page from his idol Ronald Reagan, President Obama — who supported the 2009 military coup in Honduras — has established his credentials as a servant of the American Empire. While not yet a full-fledged fascist like his predecessor in the Oval Office, Obama is well on his way to institutionalizing a fascist, neoliberal agenda. As Paley reports, the war on the poor by armed gangs — often working in collusion with the police, private security and soldiers in politically-motivated attacks on leftist party activists and journalists — has left residents of Honduras terrorized into silence by the Honduran elite. This elite of mafia-like families that control factories, banking and media, also control the government. All of which has the U.S. military and the Obama White House to thank for ongoing support under the guise of the War on Drugs. It turns out there was a logic to the U.S. coup in Honduras: maquiladoras in the form of city-states. 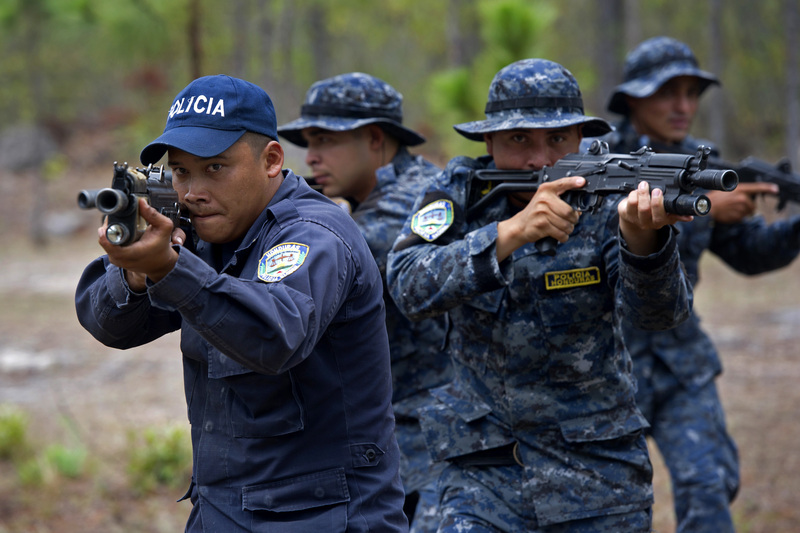 What better way to advance the U.S. neoliberal agenda in Latin America than militarized sweatshop states exempt from national and international law? Barack and Hillary must be proud of their junior achievers. When the US abandoned any pretense at pursuing democratic values, opting instead for an economy based solely on exporting violence and fraud, the window of opportunity for democratic reform in Latin America rapidly closed. As Upside Down World reports, the 2009 US-backed coup in Honduras has set in motion a replay of President Reagan’s murderous meddling in Central America, while Plan Colombia and the reintroduction of U.S. military bases in Chile and Argentina preclude even neoliberal independence in South America. As President Obama seeks to emulate and maybe even surpass the ruthlessness of his mentor President Reagan, democracies and democratic movements in the Western hemisphere are no more immune to U.S. military aggression and economic subversion than are Central Asia or the Middle East. The growing numbers of unemployed, hungry and homeless in the United States is testimony to the success of the largely unregulated private equity trading in securing the aristocracy’s power and influence into the future. As owners of the media, as well as the financiers of most federal political candidates, the aristocracy pretty much rules unopposed.